Packed with protein, so you'll feel full for longer! 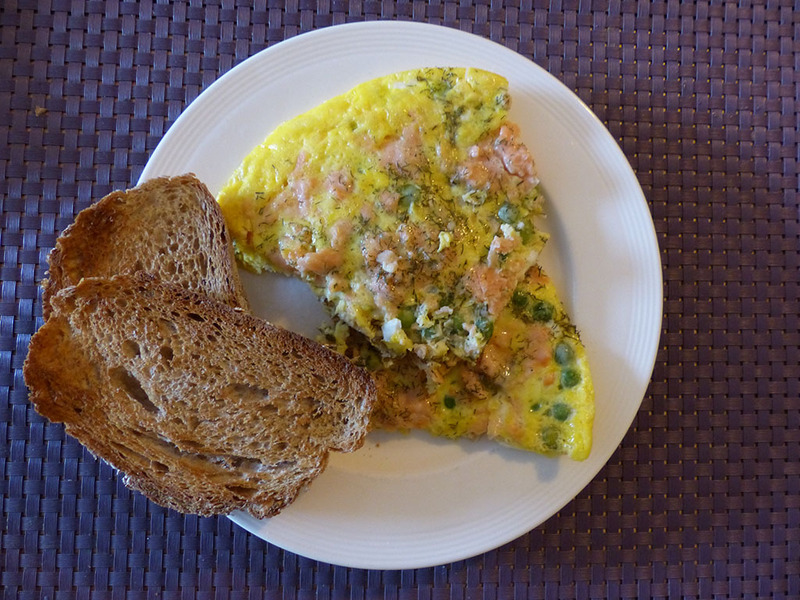 This easy-to-make omelette uses eggs and smoked salmon. Go for salmon trimmings instead of sliced, because trimmings are a lot cheaper and you don't need to cut it either! Beat the eggs in a bowl and add the defrosted peas. Heat the oil in a frying pan, add the egg/pea mixture and put the smoked salmon trimmings on top. Sprinkle with dill. Cook for around 10 minutes on medium heat. If the top is not set yet, you can put the entire pan under the grill for 2 minutes. Just make sure you don't melt the handle! And use oven gloves when lifting the pan! Serve with your choice of bread or toast and a salad.